The quicker we humans learn that saving open space and wildlife is critical to our welfare and quality of life, maybe we’ll start thinking of doing something about it. It would be a pity not to experience a safari whilst staying in Tanzania or Kenya, or nearby. Many once “bitten”, come again and again to explore this huge and diverse wildlife ecosystem in more detail. It is just so surreal, the landscape and the wildlife. We have many itineraries for you to suit your need that may include safari in Tanzania, Kenya or both the countries. 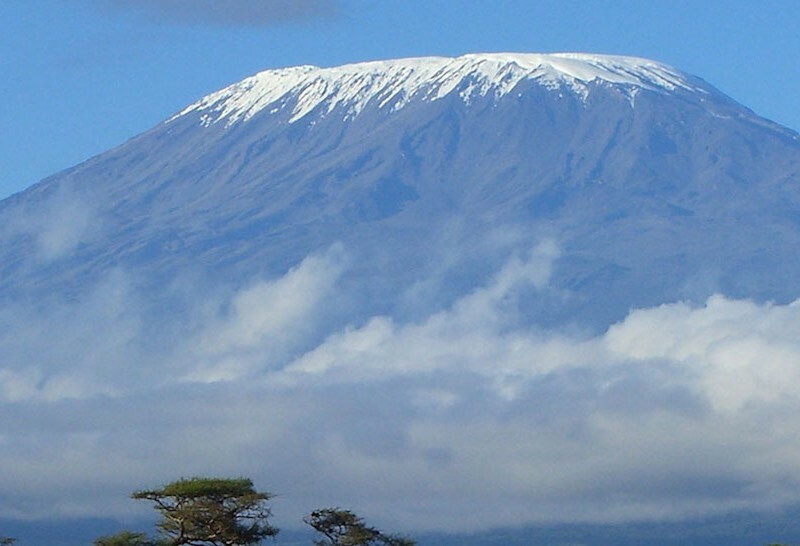 You may want to add a twist to it with Zanzibar and of course Kilimanjaro as well. The following are some of the itineraries that we have. You could write to us if you want to further customise it just for you. 1/ Interaction with Masai tribe in their village. 2/ Hot air balloon safari over Serengeti (Optional). 3/ Night game drive conducted at Ikoma (just outside the gate of Serengeti National Park (Optional). From December to March the Wildebeest migration congregates around Ndutu, in the far south of the Serengeti. From April to May, the Wildebeest migration moves North into the plains of the central Serengeti. From August to October the herd has reformed, and meanders on the Kenya and Tanzania border , along the banks of the mighty Mara River. returning south from the beginning of November. One of the sights to watch during migration is the river crossing and if lucky altercation between the crocodiles and the Wildebeest. If you are lucky, you would be able to the see the river crossing at Grumeti and Mara river. Today morning upon arrival at Jomo Kenyatta International airport you will be met by our Representative who will brief you and driven to Masai Mara arriving early for check-in followed by lunch. Afternoon enjoy a game drive to return early before sunset for dinner and Overnight at Ilkeliani, Masai Mara-Standard room FB. Today enjoy full day in Masai Mara game viewing with all meals and Overnight at Ilkeliani, Masai Mara-Standard room FB. Today after breakfast, check out and drive to Nairobi, Kenya's colourful capital city. On arrival you will have lunch on own arrangements before being dropped off at the airport for your onward departure flight. End of Services. Arrive at the Kilimanjaro International Airport. You will be met at the airport and transferred to the hotel in Moshi for your overnight stay. After breakfast, drive to Ngorongoro Crater for a half day game drive inside the crater. This is undoubtedly the best place to see black rhino in Tanzania as well as the prides of lion that includes the magnificent black mined males. There are lots of colourful flamingoes and the variety of water birds. Other game that you may see includes leopard, cheetah, hyena, other members of the antelope family, and small mammals. In the late afternoon drive back to Ngorongoro Camp for overnight stay. The drive to Serengeti National Park for game drive. Then in the late evening, drive to and overnight stay at the camp in Serengeti. - Full board. After breakfast, venture into the Serengeti’s wilderness corners for a full day of game viewing in the park. With a picnic lunch beside you, take your leisure while exploring this world heritage site, where earth’s largest concentration of plain game still roams free! In the late evening, the camp in Serengeti for rest, dinner, and overnight - full board. After breakfast, game drive en route then drive to Moshi for the overnight stay there. Lake Manyara National Park, Serengeti National Park, Ngorongoro Crater and Tarangire National Park. Drive from the hotel to Lake Manyara National Park , which takes about 4 hours. After having a picnic lunch in Manyara, you start a late afternoon game drive, which is the best time to view animals in this park. When you approach it from the East Rift Valley escarpment looms on the horizon forming an impressive back droid to the lake. In the tall trees of the ground water forest, monkeys leap from branch to branch, on the escarpment elephants stand in the shade. Other animals frequently seen are zebras, impalas, monkeys, giraffes, buffalos, hippos and others. Overnight at hotel/ similar for dinner and overnight -full board. The drive to Serengeti National Park via Olduvai Gorge takes 3 to 4 hours. Olduvai Gorge is an archaeological site located in the eastern Serengeti plains, in which early human fossils were first discovered. It has an amazing landscape that resulted from the same tectonic forces that created the Great Rift Valley millions of years ago. Then in the late evening, drive to and overnight camp - full board. After breakfast, venture into the Serengeti’s wilderness corners for a half day of game viewing in the park. In the late afternoon, drive to the camp at Ngorongoro for rest, dinner, and overnight - full board. After breakfast, drive to Ngorongoro Crater for a half day game drive inside the crater. This is undoubtedly the best place to see black rhino in Tanzania as well as the prides of lion that includes the magnificent black mined males. There are lots of colorful flamingoes and the variety of water birds. Other game that you may see includes leopard, cheetah, hyena, other members of the antelope family, and small mammals. In the late afternoon drive back to the hotel in Moshi (and depart the next day for your next destination. If you are staying for another day of safari, then drive to the hotel. The drive from the hotel to Tarangire National Park takes two hours. This park is spectacular in the dry season when many of the migratory wildlife species come back to the permanent waters of the Tarangire River. Huge herds of wildebeest, zebras, elephants, elands and Oryx gather to stay in Tarangire until the onset of the rain when they migrate again to good grazing areas. In the late afternoon, drive to hotel in Moshi for your overnight stay. Today after breakfast, check out and proceed to your other camp where you continue enjoying full day in Masai Mara game viewing with all meals and Overnight at Mara Lodge-Tented Suites. Today enjoy full day in Masai Mara game viewing with all meals and Overnight at Mara Lodge-Tented Suites. Ngorongoro Crater, Serengeti National Park and Masai Mara. After breakfast, game drive en route then drives then transferred to Isebania border. Tour representative from Kenya side will pick you to Masai Mara Game Reserve for game drive. Dinner and overnight at Lodge in Mara. Depart Masai Mara and head Back to Nairobi City. After an early morning breakfast, we will have a game drive en-route to Nairobi City. Overnight stay at hotel on bed and breakfast basis. End of the tour. Transfer to the airport for the onward journey. Tanzania: Zanzibar + Safari - Ngorongoro Crater and Serengeti National Park. Arrive at Zanzibar Airport/Sea port. Meet and greet and transfer to Stone Town at hotel for dinner and overnight stay (Half board). After breakfast, half day walk at the stone town. After the tour, drive to Ras Michamvi Beach Resort for dinner and overnight stay near the beach (Half board). At Ras Michamvi Beach Resort later transfer to the airport for your flight to Kilimanjaro airport. Transfer to hotel in Moshi for overnight stay. After breakfast, game drive en route then drive to Moshi for the overnight stay at the hotel. Transfer to the airport for the onward journey. A short Kenyan safari packed with activities and action covering The Equator, Ol Pejeta Conservancy, Lake Naivasha, Hell's Gate National Park , The Great Rift Valley, Oljorwa Gorge and Masai Mara. Arrive in Nairobi. Rest for the day for a long drive ahead the next day for safari. Stay overnight in Nairobi. Pick up and drive for lunch Ol Pejeta Conservancy located in the Laikipia plains about 17 kilometres from Nanyuki and 217 kilometres from Nairobi. The Ol pejeta conservancy works to conserve wildlife and provide a sanctuary for great apes. Moreover, the camp has its own private waterhole and salt lick so we’ll be guaranteed unprecedented close encounters. Have an afternoon game drive. Dinner and overnight will be at the luxury camp nearby. Have breakfast and an en-route game drive. Transfer to Lake Naivasha where you will visit Lake Naivasha for a boat ride viewing hippos and a walking safari amongst the wildlife on Crescent Island; it is one of the few places in the world where one can wander on foot amidst wild animals - there are no predators. Lake Naivasha being a fresh water lake on the Rift floor is home to an incredible variety of species. Over 450 species have been recorded here. In the afternoon drive to Hells Gate National Park for mountain biking amongst the wildlife and a hike in the Oljorwa Gorge. Named for the intense geothermal activity within its boundaries, the Hell’s Gate National Park is a remarkable quarter of the Great Rift Valley. The sceneries include the Fischer’s tower, the central tower, Water gouged gorges, stark rock towers, scrub clad volcanoes and belching plumes of geothermal steam make it one of the most atmospheric parks in Kenya. Dinner and overnight at the Lodge. Pick up after breakfast and drive to the world famous Masai Mara Game Reserve which is seen by many as the jewel of Kenya’s park. This is Kenya’s number one park and is always on every tourist’s “Must See List”. Full of life with various types of animals and birds, Masai Mara crown’s the climax of every safari in Kenya. Its rolling grasslands and acacia savannah have time and again been captured on film with the movie “Out of Africa” being the most famous. Masai Mara is home to the “Big Five” (Elephant, Buffalo, Lion, Leopard and Rhino) and over 450 bird species. Apart from the big five, the Masai Mara is most famous for the spectacular annual migration of over a million wildebeest, zebra, gazelle etc from the Serengeti in northern Tanzania crossing the Mara River into Kenya in search of fresh feeding grounds, which takes place in late July or August. During this crossing, hundreds of animals are swept away by the first moving Mara River and others are killed by the ferocious African Crocodiles. This crossing gives true meaning to the phrase “Survival of the fittest”. The climate is gentle, rarely too hot and well spread rainfall year-round, acacia trees lining the Mara River, while cheetahs prowl the plains. Arrive for lunch at the Camp located close to the Mara River, famous for the wildebeest migration. The camp has electricity in the evenings to charge your cameras, private fitted bathrooms and a sun deck for relaxation. The grounds are beautifully laid out with trees and flowers inhabited by a collection of exotic birds and butterflies. The rooms have electricity, and en- suite bathroom facilities and a private balcony. The grounds are beautifully laid out with trees and flowers inhabited by a collection of exotic birds and butterflies. In the afternoon after a brief rest, head out with the driver and start spotting nature at its best. Continue with the exploration of wildlife and as the sun starts to edge dip into the African horizon it will be the perfect opportunity for you to capture the beautiful Mara landscape on film. All meals and overnight will be at the camp. Rise early the morning and have a warm cup of tea/coffee. Drive out at 6:30 am and have a morning Game drive. During this time when it is cool, chances are you can spot as many animals as they will not be hiding in the bushes and are still active. Continue with the exploration of the Masai Mara until around 9:00 am when you return to the camp for full breakfast. Transfer for lunch at Seasons Restaurant in Narok. Arrive in Nairobi early evening where you will be dropped off at the airport for your flight home. •	Payment to be made in a choice of 2 Installments or full payment , and full payment must be done before 30 days from the start of the event Cancellation: •	90% refund of the total amount On cancellation before 2 months from the date of start of the event. •	75% refund of the total amount If cancelled between 30 to 60 days from the date of start of the event. •	50% Refund Of the total amount If cancelled Between 10 and 30 days from the date of start of the event. •	25% refund Of the total amount If Cancelled between 3 and 9 days from the date of start of the event. •	No refunds if cancelled within three days of the start of the event or if not present during the event, Or if the participant has to cancel or leave the event after the start of the event due to any reason what so ever. •	No Refunds on cancellations, or not attending the event or if the Participant has to leave during any point of the event. •	No refunds will be made if the event gets cancelled due to unavoidable circumstances out of the control of the organizers like Natural calamities, bandhs, strikes , etc. •	Foreign nationals (not from India) will have to bear extra cost wherever applicable. Transport with qualified driver/guide in 4x4 vehicles with viewing roof. Camping fees or lodge accommodation.